Lifetime membership value, or what is participation “worth” & how should we measure it? I’ve spent the last five years at the Center for Cooperative Media working with local media sites to figure out how to survive in this industry. We do that through the use of strategic partnerships, collaborative reporting projects, trainings and workshops, grant programs, product development, research, coaching, and more. Because the Center is a grant-funded initiative at Montclair State University, most of what we offer our members is provided at no cost to them. All we ask in return is that members show up. You don’t have to pay to join: all you have to do is participate. But while this kind of participatory membership is part of what makes the NJ News Commons partner network so unique, it’s also highly unsustainable without the institutional and financial support we receive from our funders and the university. Not everyone has access to that kind of support, and foundation funding doesn’t exactly count as a “business model” in the first place. 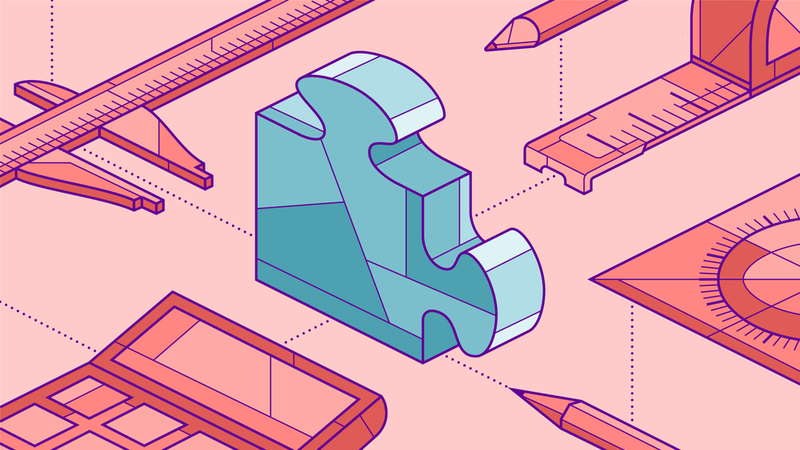 With the Membership Puzzle Project I’ve wanted to explore how membership organizations can and should evaluate the value of a membership over the member’s lifetime. I’m interested in how organizations decide what is valuable and what isn’t, and how the value of a membership changes over time. Let’s start by getting a few assumptions out of the way. Assume that when I say “value,” for the purposes of this piece I’m talking about revenue (real or potential) generated either directly or indirectly from adding, keeping, and serving members. Also assume that the value of memberships and subscriptions should be assessed using similar sets of equations and values. Formulas for calculating the lifetime value of a subscriber are relatively straightforward. Membership, on the other hand, can be much more complicated. There are certain core aspects of membership that are demonstrably valuable to an organization and its members, but it’s much harder to quantify what they’re worth and to nail down a dollar amount. A lot of it has to do with the difficulty in calculating the value of participation, which can be a huge part of membership organizations. We’re also talking about quantifying the value of participation and interaction over the course of several years, perhaps decades. Is it even possible to measure the value of a single interaction, let alone a lifetime of them? Moreover, is that something we should even be trying to do in the first place? It’s also not entirely clear that these kinds of formulas and equations are even capable of producing accurate results. After all, they rely heavily on assumptions, predictions, and forecasting in order to complete their valuation models. Predicting the behaviors and circumstances of your members and your company over the course of several years, not to mention predicting national and international economic conditions, involves a lot of forecasting – and forecasting is far from reliable for reasons we’ll explore. But even if the exact monetary value associated with serving members is not always obvious, research shows that members who are better served tend to stick around longer and contribute more to the organization, according to a paper by Manohar U. Kalwani and Narakesari Narayandas in the Journal of Marketing. So it makes sense for us to find out whether it’s possible to measure the lifetime value of membership. Unfortunately, the only way to do that involves math. Because newsrooms are still figuring this out, it can be useful to look at how traditional membership and non-profit organizations approach these questions, many of which already have systems for determining the lifetime value of their members. Bob Harris of the Canadian Society of Association Executives lays out the set of mathematical formulas used to determine the lifetime value of non-profit memberships. He includes formulas to find the cost of member enrollment, retention, loss, turnover, and the cost of serving members over the lifetime of their respective memberships. These formulas allow the organization to figure out how long an average person remains a member (Bob uses 10 years in his examples), how much revenue each member generates for the organization over the course of their membership and, therefore, how much money the organization should be willing to spend to pick up (or “acquire”) each new member. It’s also important to distinguish between measuring historical membership lifetime value (LTV), which is based on years of accumulated data, and predictive LTV, which relies on forecasts about suspected outcomes that are based on whatever data is currently available. And all of that is based on prevailing assumptions about future trends and conditions. Non-dues revenue, unlike the dues revenue that is generated from annual or monthly membership dues, comes from clothing and branded merchandise sales, events and ticket sales, special product offers, targeted fundraising campaigns, and anything else that isn’t specifically tied to dues. That leaves us with just one missing variable: the value of participation. I want to consider some of the concerns associated with the kinds of forecasting models and predictive formulas that are used to measure the value of membership. A full evaluation of lifetime membership value is also likely unattainable even for larger organizations, write James Anderson and James Narus for the Harvard Business Review. This is partly because tracking and analyzing that much data and quantifying each individual interaction would require substantial human resources and data analysis capabilities. In marketing and accounting industries and beyond, there are also concerns about the difficulties associated with using LTV equations because forecasting itself isn't very accurate. Sunil Gupta and Donald R. Lehmann write in the Journal of Interactive Communication that the issues surrounding the accuracy of forecasting models are widely cited as part of the reason why the use of such lifetime value equations has not become more commonplace. All of this is relevant to membership organizations when you consider that “as wealth inequality continues to increase, the opportunity for the audience to contribute in any way to the news process — consumption, participation, or compensation — decreases,” writes Simon Galperin for the Community Information Cooperative. Which means that “just as newsrooms are turning to audience revenue to bolster their businesses, that pie is already shrinking” for many people in the United States (and any other country where income and wealth inequality is an issue). Heather Bryant explored these and other issues in more detail in her recent two-part report for this project on community investment in news. There are other relevant concerns about assigning dollar values to participation, but we’re still on the hunt for our missing variable: the value of participation. Members often contribute to organizations in ways that are not easily quantifiable, and most participatory contributions are often hard to distill into a single line item. These kinds of non-monetary contributions can range from simple actions such as sharing content and posting comments to more intimate gestures or abstractions like feeling a sense of community or a shared mission. One example WERF cites: an initiative that directly addresses complaints from consumers can lead to in fewer complaints. But because there is “no direct means of translating the benefit of a lower number of customer complaints in monetary terms,” they recommend taking “an extrapolative approach whereby the reduction in complaints is projected to be 10% of the total” number of complaints they expect to receive. Google provides us with another example of how an organization might assign dollar values to various contributions and forms of participation from its members. At the very least, it can give us a sense of how much these specific participation pathways are worth to the company. Google allows Google Maps users to submit photos, reviews, and other information about locations on the map via the mobile app in exchange for points and perks as part of its Local Guides program. Those submissions not only save Google employees and local businesses time and effort building their Google Maps profiles, they also provide community-generated content and various forms of helpful information for other, more casual Google Maps users. The program was first launched in 2015 and included a simpler, five-tier contributor rewards system. Each contribution is worth a certain number of points, with opportunities to earn bonus points for more detailed and thorough submissions. The more points you earn, the more rewards and perks you receive. The program has since expanded to include ten rewards tiers and a wider range of perks for contributing members. At left: a breakdown of the current Google Local Guides rewards system from the Google Support Portal. When Local Guides first launched, the rewards for the first three rewards tiers were relatively tame, with very little concrete or monetary value guaranteed for each user. The first three levels offered access to exclusive contests and product giveaways, early access to Google products, and public badges. At the very least, the Local Guides program demonstrates that the value of consistent, quality contributions from members can be both tangible and quantifiable. Allowing users to contribute knowledge and information, along with their experiences and expertise doesn’t require any currency exchange or monetary payment from the user, but it is valuable nonetheless. Users, meanwhile, get the satisfaction and altruistic boost that comes with the knowledge that their contributions are not only supporting Google and its ubiquitous Google Maps software, they’re also helping other people get accurate information about locations and businesses in their community. In doing so, Google’s Local Guides program creates multiple participation pathways, while also assigning a monetary value to each member’s contributions, allowing us to factor those contributions into our formulas for calculating the lifetime value of each participating member. Are there situations where someone could access the full benefits of membership without actually exchanging any currency? If so, what might that look like? New Naratif launched a program based on member contributions that can serve as an example of how a publication might build participation pathways that are tied to quantifiable values and exchange rates. New Naratif describes itself as “a platform for Southeast Asian journalism, research, art and community-building” that stands for “openness, transparency and engagement.” The publishers of New Naratif wanted to give people who are unable to afford a membership an opportunity to become a member by supporting the publication in other ways. New Naratif announced in a newsletter and public Facebook post that they would “barter New Naratif memberships” in exchange for useable audio contributions. Screengrab via Facebook. “One thing we've been working on is coming up with ways for New Naratif's members and readers to get more involved in a way that's fun and fair for everyone,” wrote editor-in-chief Kirsten Han in a recent newsletter to members. One of the ways Kirsten and her team came up with was to allow people to record articles for a forthcoming audiobook in exchange for two free months of membership. Read five articles (of acceptable audio quality), and you get to choose between a free copy of the book in question or one-year membership without paying a dime. The project combines economic and altruistic returns with a simple participation pathway – plus, everyone who listens to the audiobook will hear your voice reading one of the chapters. New Naratif is still a very young company. Kirsten and her team won’t be able to get a full picture of what the average lifetime of a membership looks like, let alone how much it’s worth, for some time. The same is true of any recently-formed startup. But creating participation pathways like the one New Naratif offers to its members, and tying those activities to actual dollar amounts, offers a clear and quantifiable picture of the value and costs of participation. By identifying valuable tasks and offering prospects a chance to become members in exchange for doing them, New Naratif’s audiobook program makes membership more accessible to the public while also making it easier to factor participation into their own lifetime membership value calculations. OTHER CONCERNS: WHY PAY ME WHEN MEMBERS WILL DO IT FOR FREE? This project’s research director Emily Goligoski and researcher Stephanie Ho agree that “listening to and acting on the range of forms of audience engagement and understanding the needs and motivations of your members can be both revenue-generating and money-saving (in that in kind contributions of time, energy, and skills can allow sites to spend their resources elsewhere).” But it’s also important to distinguish between the value of member contributions and the value of labor done by professional journalists. This distinction is abundantly clear to someone like Matthew Perpetua, who used to be the director of quizzes at BuzzFeed before he was one of nearly 200 employees who were laid off in January 2019. BuzzFeed quizzes generate a lot of traffic (and corresponding advertising revenue) for the publication, but “a VERY large portion of that traffic comes from a constant flow of amateur quizzes made by community users” Matthew said. Instead of continuing to pay Matthew’s salary, BuzzFeed realized it could rely instead on amateur quiz submissions from unpaid BuzzFeed community members. Anika explained how the act of contributing is a different experience for a staff member or a professional journalist than it would be for a member or a volunteer. The experience of a member or volunteer, on the other hand, represents a totally different situation. When people purchase a product, they’re typically basing that purchase on tangible features like quality of craftsmanship and less tangible features like brand affiliation and perceived value. People generally make purchases in full knowledge of the associated risks and they tend expect a certain return on their investment. This is known as an economic exchange. In their book, “New Power: How Power Works in Our Hyperconnected World—and How to Make It Work for You,” authors Jeremy Heimans and Henry Timms describe a second type of exchange: the altruistic exchange. When people donate to a charity or a good cause, they don’t typically expect to see any financial return on their investment — or any other kind of tangible return, aside from the satisfaction of knowing (and perhaps letting other people know) that they did a good deed. Membership, on the other hand, is neither pure exchange nor pure altruism. Instead, it occupies a kind of middle ground that combines elements of both in order to create something even larger. It’s clear that measuring the value of membership – and measuring the value participation in particular – is a complicated endeavor. But it is possible to quantify the value of participation down to the individual action or contribution, and doing so will allow an organization to estimate how often the average member is expected to participate in certain ways over the life of their membership. That estimate can then be added to traditional lifetime membership value equations and combined with the average dues and non-dues revenue. Because all of this is still relatively new to many in journalism and media circles, we don’t actually have many examples of this practice in the wild. Which is why I want to ask those who have tried to implement these kinds of valuation systems for participatory and other non-dues contributions. Have you or your newsroom attempted to measure the value of participation? How do you do it? What kind of contributions do you measure and how do you decide what each contribution is worth? Do you prefer to measure the value of participation in relative or exact terms? Journalism is increasingly embracing membership as a business model, and it will probably be a while until membership is mainstream. Hopefully, these examples and your own will help newsrooms continue to learn from each other – and those outside of journalism – in order to learn not only survive in this industry, but also how to build meaningful, lasting relationships with our members. Joe Amditis is the associate director of Center for Cooperative Media at Montclair State University. He can be reached at amditisj@montclair.edu. Emily Goligoski, Jay Rosen, Jessica Best, Heather Bryant, and Lukas Kouwets contributed to this post.